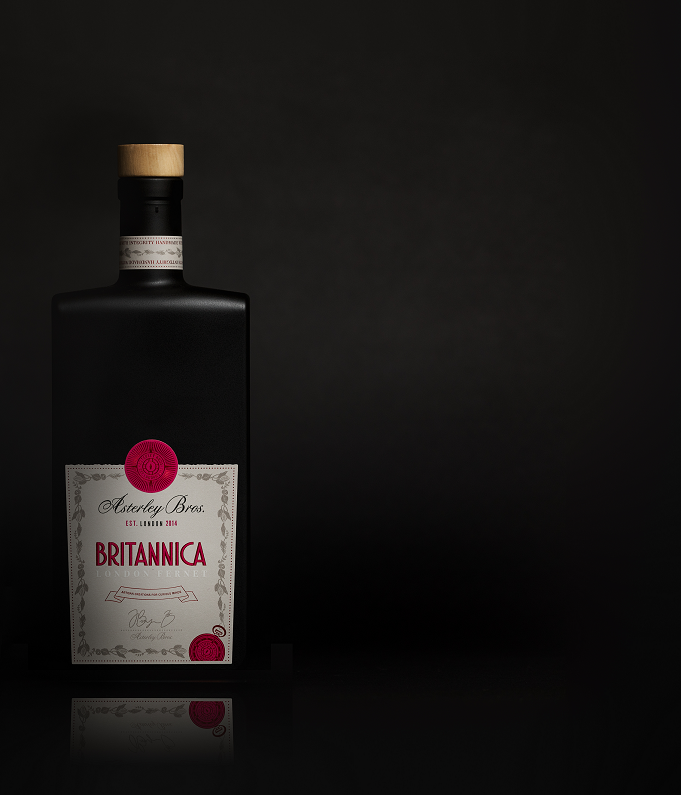 Following on from the launch of their British Amaro in 2017, Asterley Bros have now launched Britannica, the world’s first ‘London Fernet’ with 14 botanicals including roasted hazelnuts, cacao, mint, myrrh and London Porter. Handmade in South London, the bitter liqueur has been three years in the making, and was part of an International ‘Beta Testing programme that the brothers organised. More than 1000 samples were sent to recipients worldwide to taste, critique and submit feedback at each stage of recipe development. The final blend was selected by the Beta Testers in late 2018 and each batch takes 5 months to make, through a process maceration of organic spirit, myrrh, rosemary, cacao nibs, hazelnuts, cinchona, cinnamon and yarrow, before adding South London Porter to complete the blend. Though the gin boom show no signs of abating, the public’s growing interest local, sustainable, botanically-driven spirits has seen a steep increase in sales of the Aperitif, Amaro and Vermouth categories. For lovers of classic cocktails, especially those of a bitter persuasion (think Negronis, Americanos, Hanky Pankies) Fernet is a great addition to the cocktail maker’s arsenal. Intensely bitter, 40% abv and with a big hit of menthol on the finish, they are a fantastic Italian digestivo. Hugely popular in Argentina, where Fernet and coke is the national drink, Fernets are an intensely bitter sub-category of Amari, Italian bitter liqueurs. They are growing in popularity across the United States, where many new distilleries and producers have created new releases over the last few years, though Asterley Bros’ Britannica is the first Fernet to be produced in the UK. Fernet is a great way to add complexity and bitterness to cocktails, try it in a classic Hanky Panky, add a few dashes to an Espresso Martini, for added intensity, or even in a White Russian to turn a sweet, indulgent cocktail into something a lot more interesting and sophisticated. Add all the ingredients into a mixing glass with ice and stir, then strain into a chilled cocktail glass. Asterley Bros make artisan bitters by hand in Forest Hill, South East London. They released ‘Dispense’ their Modern British Amaro in early 2017 and a British pinot noir Vermouth, ‘Estate’, in 2018. Their products can be found in across the Capital in bars, restaurants and retail stores including Claridge’s, The Connaught, Harvey Nichols, Fortnum’s, Hedonism Wines, The Gibson, Nightjar, Clove Club, Portland, Core and more. Britannica Fernet is available in 500ml bottles at 40% ABV with a RRP of £35.50. Available online from Master of Malt and The Whisky Exchange. Wholesale and trade delivery is also available through Speciality Drinks. This press release was distributed by ResponseSource Press Release Wire on behalf of Asterley Bros in the following categories: Leisure & Hobbies, Food & Drink, Retail & Fashion, for more information visit https://pressreleasewire.responsesource.com/about.